It took 27 years for the two popular 1980s bands to finally share a tour last summer, and now only a year for them to do so again. 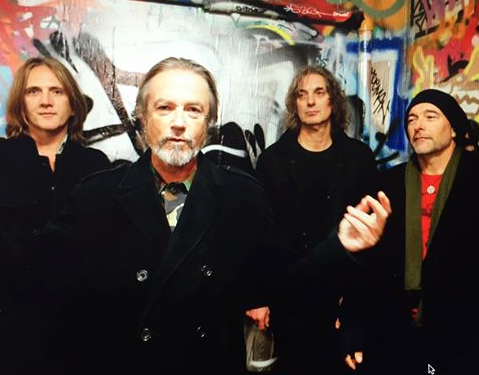 The Psychedelic Furs and The Church planned to tour together in 1988, but “the stars just never aligned,” says Church singer and bassist Steve Kilbey. In the summer of 2015, the two bands were finally able to share 20 dates. “Sometimes rock ‘n’ roll has really good double bills where there are two likeminded acts and the audience can go away very happy they got their moneys worth,” notes Kilby. “Because the last lot of shows went so well we couldn’t help but want to keep it going.” This run will see the bands playing dates in the Southwest, on the West Coast and in the Midwest in July and August. The Church finished a 16-date U.S. tour in April on which they played two sets: The first in which they performed their 1982 second album The Blurred Crusade in its entirety, and a second set in which they performed selections from their 2014 release Further/Deeper and throughout their career. Their biggest hit was 1988’s “Under the Milky Way.” They premiered a video for the song “Let Us Go” from their most recent earlier this month. The Psychedelic Furs, still led by Richard and Tim Butler, are best known for “Pretty in Pink,” “Love My Way” and “Heartbreak Beat.” They have not released a new album since World Outside in 1991. But they have continued to tour the U.S. regularly in recent years.